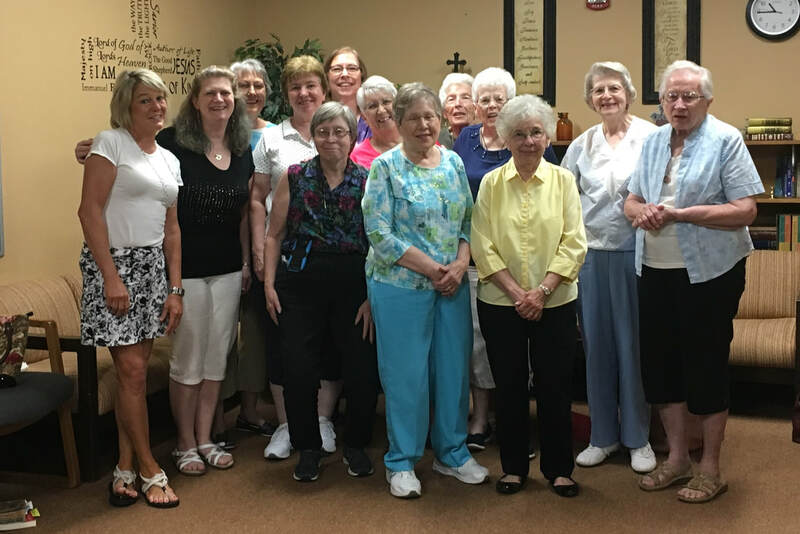 The Women's Group meets for Bible study, prayer and fellowship on the first and third Thursdays of the month from September through May. We meet from 10:30 am to noon. Beginning December 7, 2017, we will start a study on "The Girl's Still Got It," by Liz Curtis Higgs. This is a 12 lesson study that will take us through the end of May, at which time we will take a break for the summer. New members are welcome to join the group at any time. Walk with Ruth as she travels from Moab to Bethlehem, certain of her calling, yet uncertain of her future. Hold Naomi’s hand and watch love put the pieces of her broken life back together. And hang out with Boaz, their kinsman-redeemer, who blesses both women and honors God, big time. With best-selling author Liz Curtis Higgs by your side, you’ll tarry in the corners of their ancient houses, listen to their conversations, and consider every word of every verse until you can say, “I totally get the book of Ruth. And I see what God is trying to teach me through this rags-to-riches redemption story—he has a plan for my life. Register below or for more information contact group leader, Rebecca O'Connell at 515-257-3022 or email her.